After blocking Ferrari driver Sebastian Vettel from third position despite even his own team telling him to move over, Red Bull Racing driver Max Verstappen waltzed into the pre-podium room to celebrate. 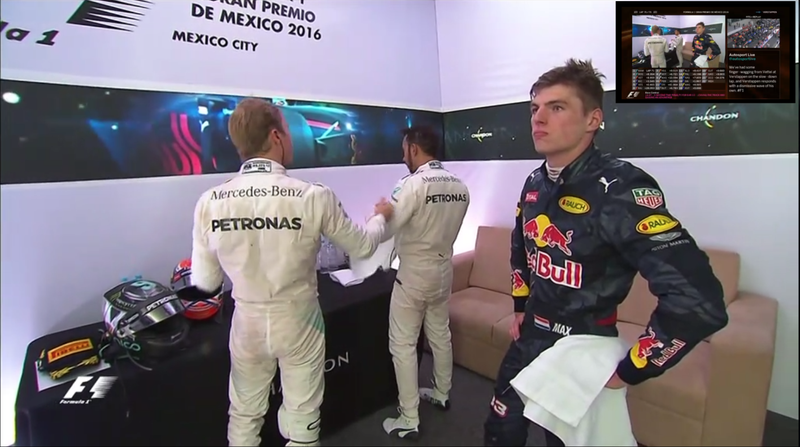 That’s when Verstappen, who has a history of blocking, found out he wouldn’t be getting third place. Due to a five-second time penalty that dropped Verstappen down to fifth, Vettel moved from fourth to third in the Formula One Mexican Grand Prix finishing order. Verstappen got the news while in the pre-podium room and he looked quite disenchanted with it all, but the penalty probably shouldn’t have come as a surprise—the FIA cracked down on blocking moves like the ones Verstappen has made multiple times this year at Circuit of The Americas last weekend. Maybe Verstappen didn’t get the memo. But even after the podium celebrations, Vettel may not get third—Autosport reports that a move he made on Red Bull driver Daniel Ricciardo is under investigation. Everyone seems mad about penalties, as Sky Sports’ post-race updates include Verstappen calling Vettel a “very frustrated guy” and his penalty “ridiculous” while Ricciardo said Vettel didn’t deserve the podium finish and winner Lewis Hamilton deserved a penalty. Meanwhile, Hamilton said in his post-race interview that he was just happy about eating tacos every night. Let’s change the rhetoric here, guys. Tacos for everyone, not penalties for everyone. Tacos always bring up the mood. Update, Nov. 1 at 2:40 p.m. ET: Remember how mad Vettel got at Verstappen for blocking several times this year? Well, he lost third place for violating the FIA’s new rule about that. 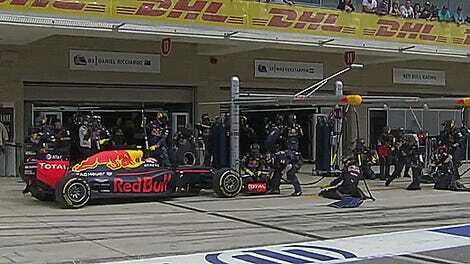 Vettel dropped to fifth after the podium celebration, while Verstappen got fourth and Ricciardo wound up third.